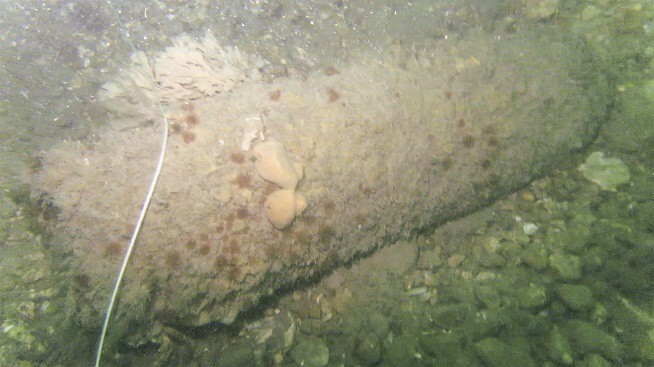 Pressure group Goodwin Sands SOS (Save Our Sands) has written to the government to ask for a dredging licence to be revoked after the discovery of a possible World War Two aircraft crash site. 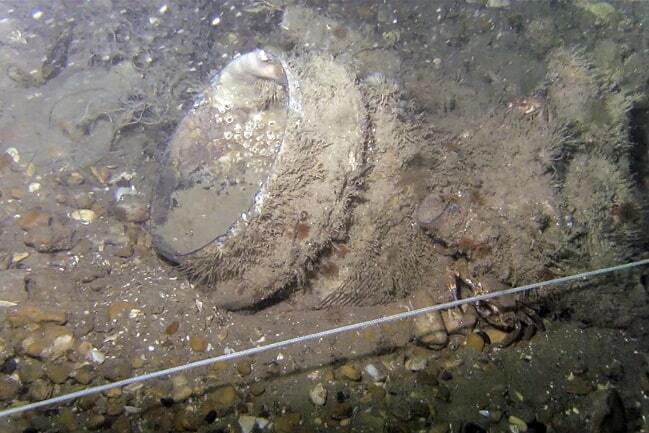 The group says newly released video footage has identified what appears to be the remains of the military aircraft crash site including a radial engine, part of a fuselage and unexploded bombs lying in the buffer zone of the newly licenced dredging area on the Goodwin Sands. The video was taken by Ramsgate based diver Vince Woolsgrove at the end of August 2018. The text on the video was added by Goodwin Sands SOS. Mr Woolsgrove is a commercial diver with extensive knowledge of the Goodwin Sands and its wreck sites and is well respected within the archaeological diving community. In July 2018, the Marine Management Organisation (MMO) granted Dover Harbour Board (DHB) a licence to dredge 3 million tonnes of aggregate from the Goodwin Sands, to use as landfill for their Dover Western Docks Revival project. DHB say the Goodwin’s dredge would keep costs low on the £250m project to rejuvenate Europe’s busiest port. The area had been surveyed twice but the aircraft crash site was not identified. The area was described by Wessex Archaeology, DHB’s archaeological contractor, as ‘seafloor disturbance’. 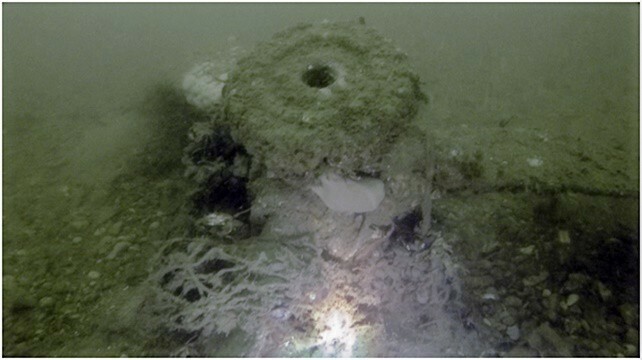 Goodwin Sands SOS and 3H Consulting Ltd say the discovery highlights the possibility that aircraft crash sites or shipwrecks could be dredged up during the DHB project. The group say the 305 similar seabed abnormalities or ‘anomalies’ pin-pointed in the proposed dredge area and its 250 metre buffer zone need further investigation and the dredging licence should be revoked or suspended until this has taken place via a diver or remotely operated vehicle. Photographs taken from the video have been sent to the Secretary of State for Defence and copied to the MMO, HE, MoD, the RAF and The Crown Estate. No response has yet been received. If any of the anomalies are aircraft crash sites they would become Protected Places under the Protection of Military Remains Act 1986. Under this Act it is a criminal offence to disturb them in any way. 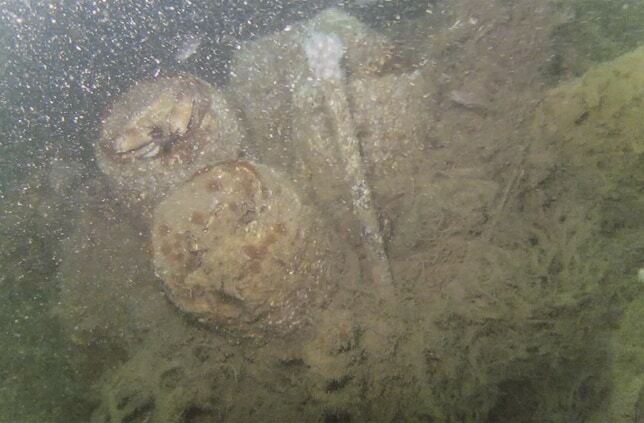 The discovery has not yet been confirmed as a crash site by the MoD or Historic England.